Stats: Angeles Crest to West Fork Trail Camp: 3.4 miles, 1700′ loss; West Fork Trail Camp to Angeles Crest: 3.4 miles, 1700′ gain; Round-trip: 6.8 miles, 1700′ gain and loss. Shortcut Saddle to Devore Trail Camp (9 miles, 1,890′ of gain and loss. 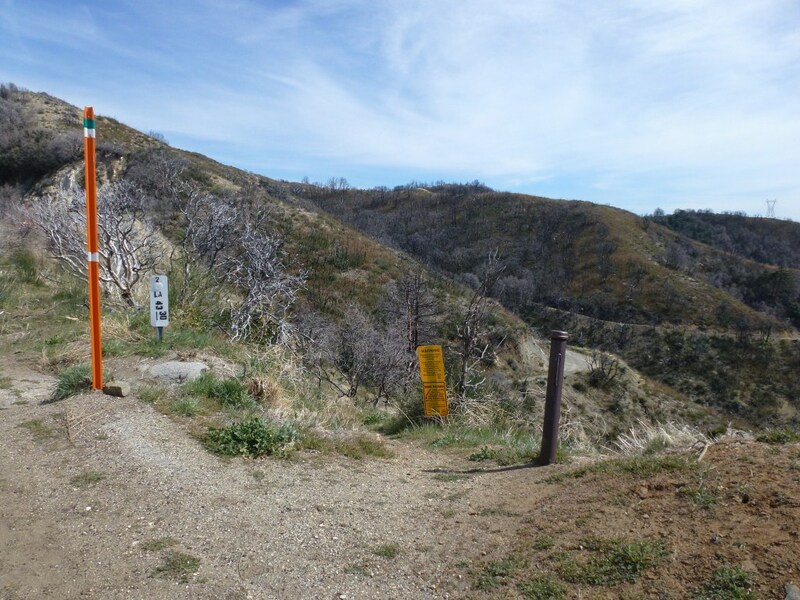 Take the trail down and turn right at the junction with the dirt road below Angeles Crest Highway. View of JCT (note sign post) for trail continuation from the road to Angeles Crest Highway. This view is in the direction leading up from West Fork Trail Camp. Further up the road on the left-hand side is the continuation of the Silver Moccasin Trail. Junction of road and lower portion of the Silver Moccasin Trail leading toward West Fork Trail Camp. The trail begins by descending through burn areas and is exposed. Bring lots of water–especially for the return trip up the canyon. 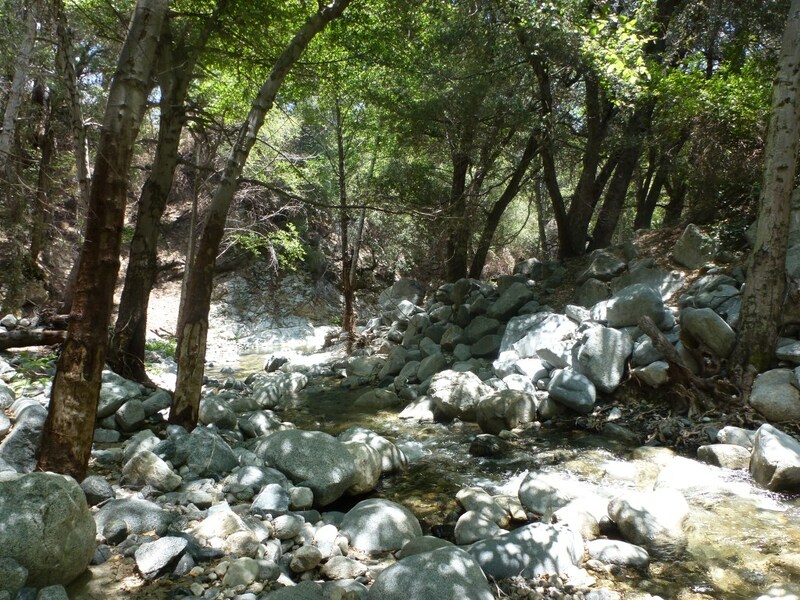 Close to halfway down Shortcut Canyon to West Fork Trail Camp, the grade becomes less steep and the trail follows a stream that feeds into the San Gabriel River. This section of the trail ends across the San Gabriel River at West Fork Trail Camp. If coming up the Silver Moccasin Trail from West Fork Trail Camp, go to the west end of the campground to find the trailhead. View of trailhead from West Fork Trail Camp.